The Fairway Galle Literary Festival was delighted to partner with MAS Holdings to present a comprehensive community outreach program to Galle, Kandy and Jaffna throughout January 2016. 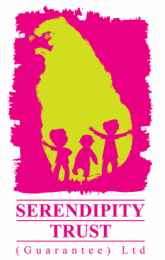 Coordinated by Serendipity Trust (Guarantee) Ltd, this series of events saw children and their teachers immerse themselves in the joy of literature and other creative pursuits. We believe that education creates an undeniable curiosity in young minds and this leads to an energetic and continuous level of development. It is in this spirit that all events included sessions led by MAS Eco Go Beyond which shared practical ways that the local community can participate in sustainable development. This international festival brought authors and children together in a unique and diverse series of events that also celebrated the rights and safety of every child. The MAS Schools’ Days in Kandy and Jaffna offered hundreds of students from selected schools the chance to participate in a variety of storytelling sessions and interactive workshops run by world renowned authors and artisans. In each Outreach location these events involved over 250 primary and secondary students as well as 40+ teachers. Special provisions were made to ensure the inclusion of children from marginalised communities. For children, the delight of a story, even the simplest one is akin to an adventure. Storytelling enables teachers to introduce the world and its concepts to the younger generation. The MAS Outreach Programme also offered teacher training opportunities to primary and secondary teachers in Galle, Jaffna and Kandy. Teachers learnt how to spin a yarn in specialised training sessions led by Geeta Ramanujam and her colleagues of Kathalaya, an organisation that has trained over 70,000 people around the world. The British Council also led Teacher Training for teachers in Kandy and Jaffna on ‘The Art of Storytelling’.